Recent: Two featured readings in February and a 3rd in March! 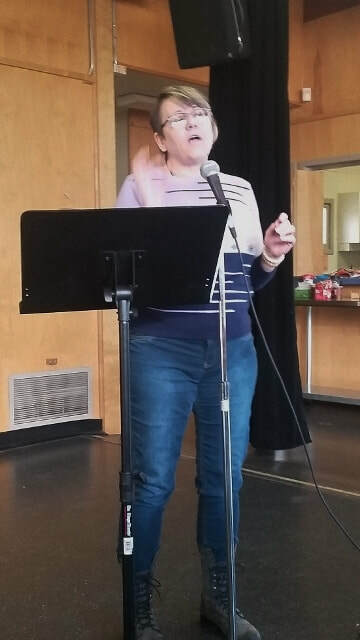 I`m reading at Writers International Network, on Feb 17 at 2:30 pm, a 15 min reading at Moberly Arts Centre, 7646 Prince Albert St, Van. Photos above. I`m reading at Poetry & Art, on Feb 21 at 7 pm. It`s at Zack Gallery at Jewish Community Centre, 41st at Oak. Photos below. Upcoming: WIN UNESCO Poetry Celeb. March 21, 2019 6:30 pm at Moberly Art Centre, 7646 Prince Albert St, Van. 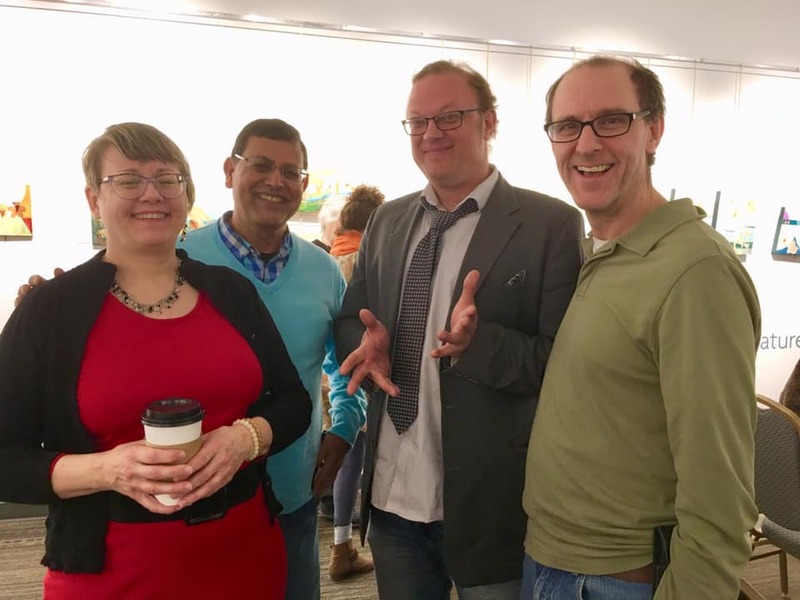 I was one of the featured pairs reading at Poetic Pairings with Stephen Karr, on Jan 22, 2019 at Britannia Library! We read new poems of nature, healing and spirituality! 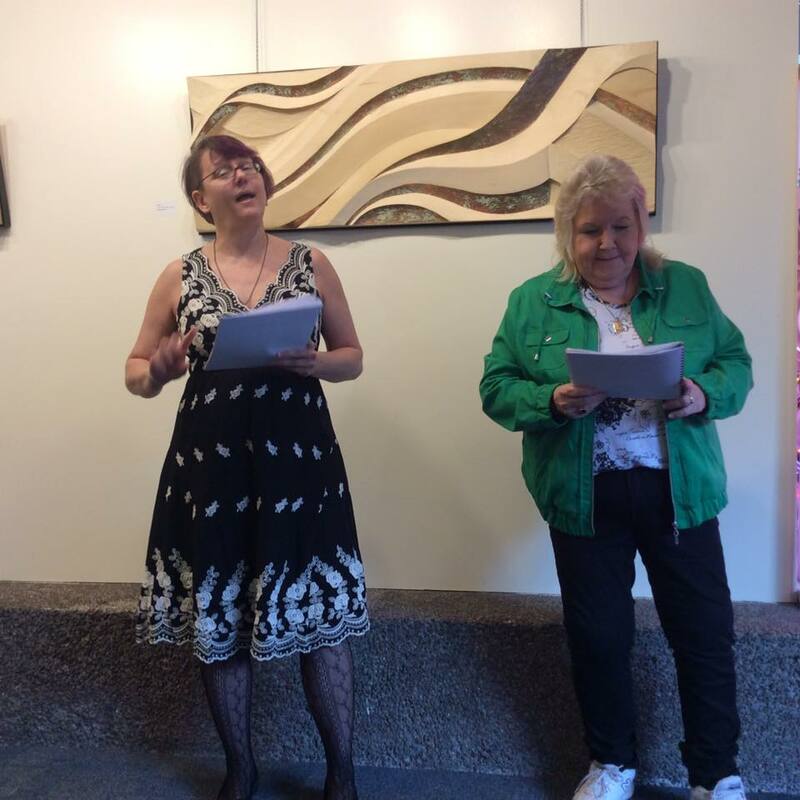 I was a featured poetic duo, with Ruth Kozak at Poetic Pairings on April 24, 2018. We read new poems of nature, West coast and travel! It's always a fun event! We read with 4 other pairs of poets from Pandora's Collective at Britannia Library, Napier Street, Vancouver. 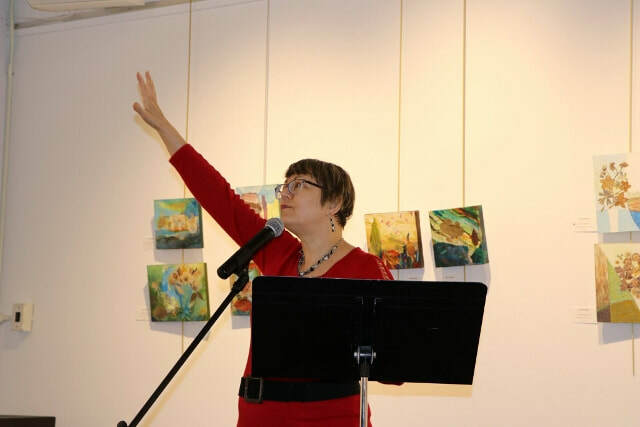 I was a featured poet at WIN UNESCO celebration of Int Poetry Day March 24, 2018, 6-8 pm! It was at Moberly Arts & Culture Centre - 7646 Prince Albert St, Vancouver. I read fresh poems of love and healing, with talented multicultural poets and dancers! A fun, free event! 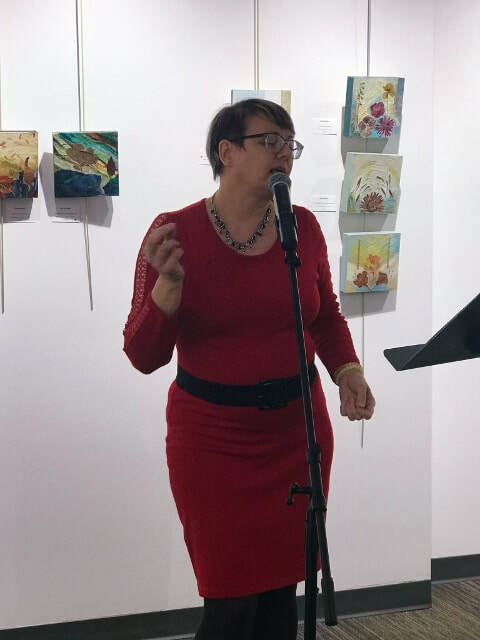 I was one of the featured poets reading brand spanking new poems, at Zack Gallery (JCC gallery in Vancouver) at Retrospective: Word Whips - September 25, 2017! I wrote 10 minutes of poems inspired by Waldemar Smolarek's gorgeous Abstract art! Poems of ocean, fires, junkies, summer memories, space and eternity. I was one of the featured poets on November 17, 2016. 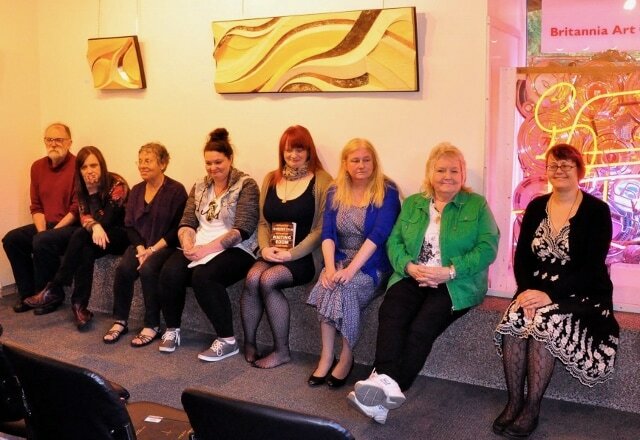 It was called Simplicity: Word Whips in the Gallery at Zack Gallery - Jewish Community Centre. A night of poetry, art and music. 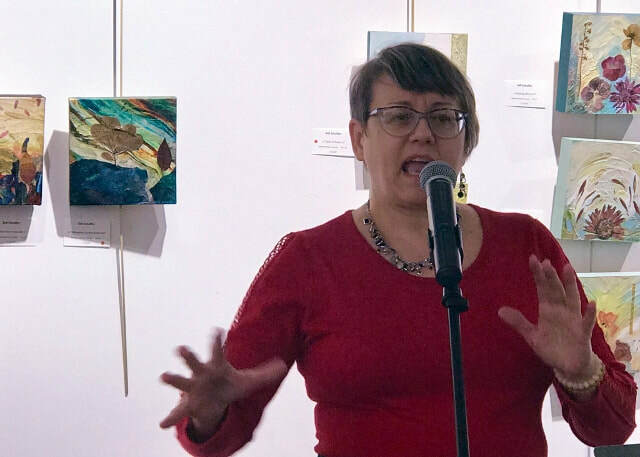 Featured Poets: Eva Waldauf, Rosemary Nowicki, Jami MaCarty, Falcon O'Hara, Enrico Renz, Amanda Wardrop and Leanne Boschman. 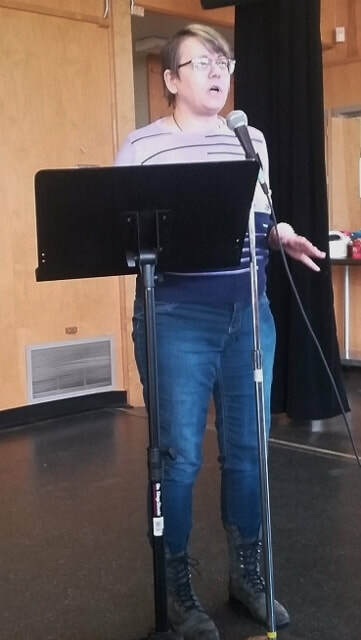 I was one of the 4 featured pairs performing at Poetic Pairings 5 on June 14, 2016, at Britannia Library, Vancouver. I co-featured with Candice James - Poet Laureate of New Westminster. We wrote all new poems together, on themes of: travel, love, Black Zombie Swans and funny Sci Fi. The other Poets: Mary Duffy, Falcon O'hara, Chelsea Comeau and Eloise Carboni. I was one of the featured Poets at WIN UNESCO World Poetry event on Saturday March 12th, 2016! It happened at Moberly Arts Centre, 7646 Prince Albert St. I read a few new travel, fall & love poems! ​Click UNESCOpoetry to see the video! 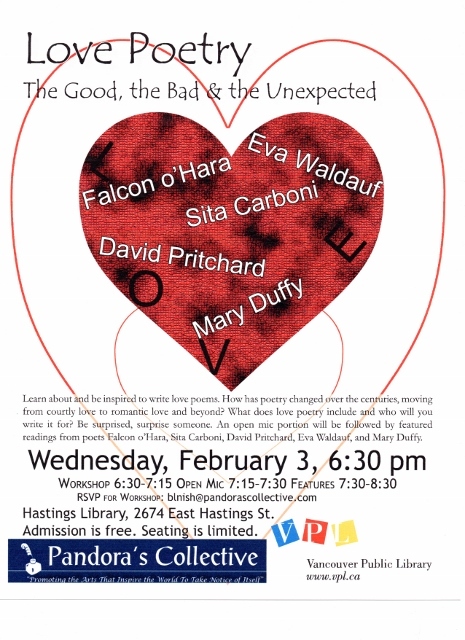 I was one of the featured poets on Feb 3rd, 2016 at Love Poems: the Good the Bad and the Unexpected. Sponsored by Pandora's Collective Society and VPL. It took place at Hastings Library at 2674 East Hastings St, Vancouver. I read 10 minutes of poetry from Atlantic Adventures & Big City Romance, one older love poem and two new love and fall poems! December 3rd, 2015 I had the official book launch for Atlantic Adventures & Big City Romance at Continental Coffee House in Vancouver! 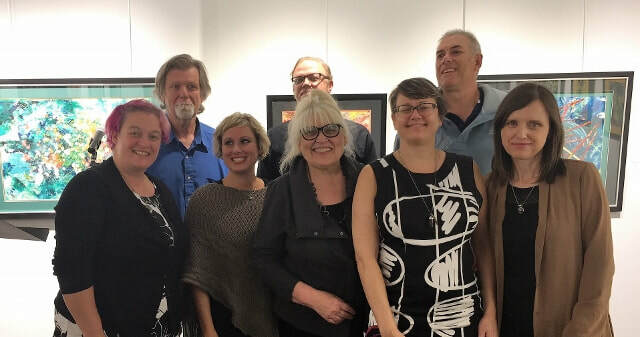 Atlantic Adventures & Travelling Poets: was my book launch, my readings combined with travel poems read by: Mary Duffy, Bonnie Quan Symons, Natasha Boskic and Paul Sasges. A night of poetic adventures to the East Coast, Paris, Ireland, Iceland and many other places. 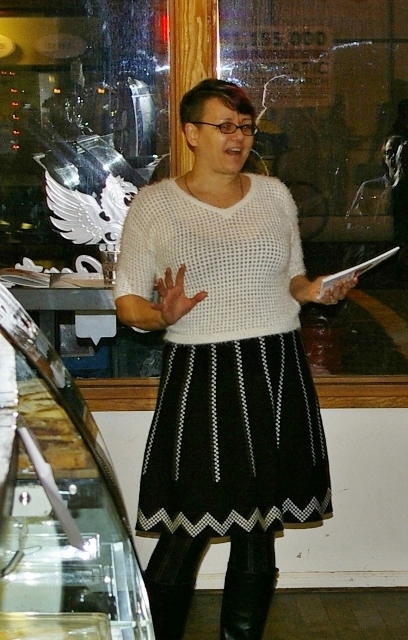 ﻿On Sunday November 8, 2015, I was one of the duo of featured Poets, at Poetic Justice. My co-feature was Raoul Fernandes. It was at Heritage Grill, 3 - 5 pm at 447 Columbia Street, New West. It was also the unofficial book launch for my new book of Poetry and Art, Atlantic Adventures & Big City Romance. I read 20 minutes of new Poems, including many from my new book! 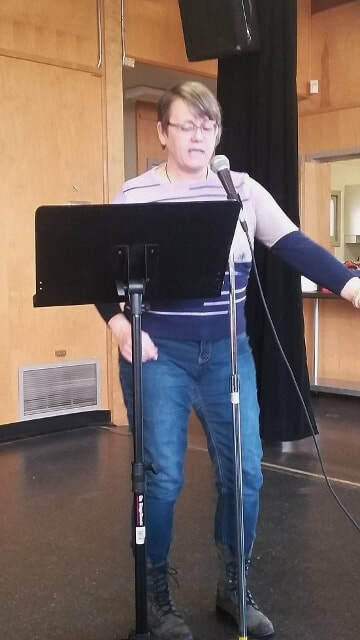 On October 6th, 2015 I was the featured Poet at Kitsilano Poetry Group at Arbutus Coffee, 2200 Arbutus St, Vancouver. I did a 15 minute set of all new Poems, including Poems that will be in my new book of Poetry; Atlantic Adventures & Big City Romance in November. I did a Q & A afterwards. 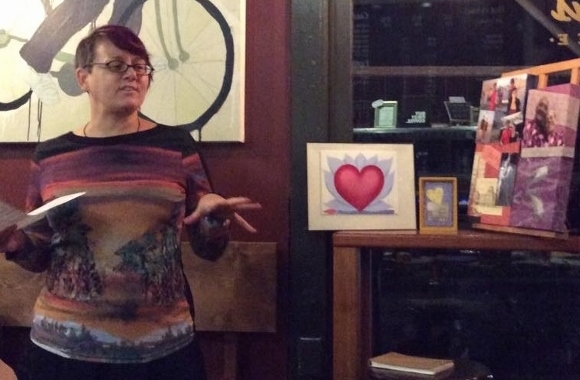 It was a night of Poetry and original art! In April 2015, National Poetry month, I was one of the Poets reading at the Jewish Community Centre at 940 West 41st! 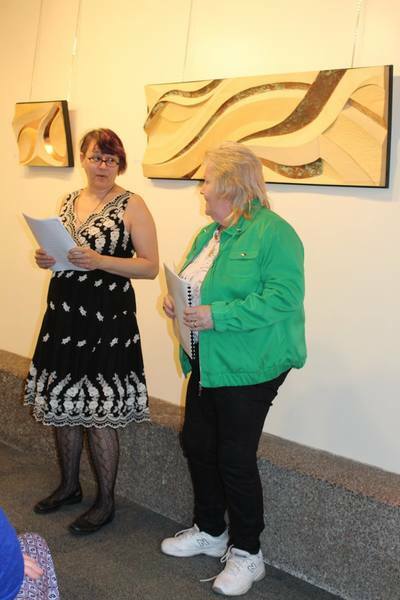 The readings happened in the JCC Issac Waldman Library on April 30, 2015, from 7 - 8 pm. I and all the Poets read new Poems written in April's writing workshops in the library! 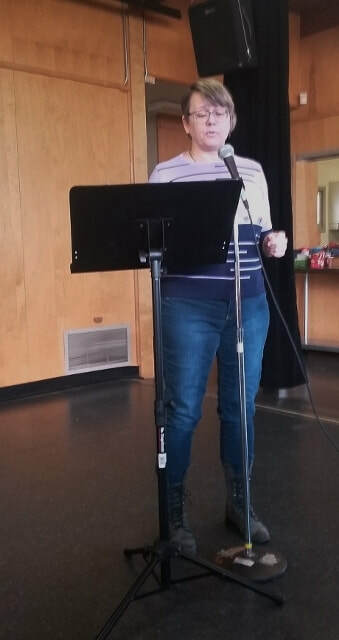 I was one of the Poets reading at the Writers International Network event in Richmond on Saturday March 28, 2015! It took place at Richmond Cultural Centre. I read a few new Poems! Click https://www.youtube.com/watch?v=OJYyl9UeI4Q&index=27&list=PL1233342CFA56C88D to hear Fading Sun and Hurricane Proof love poem! 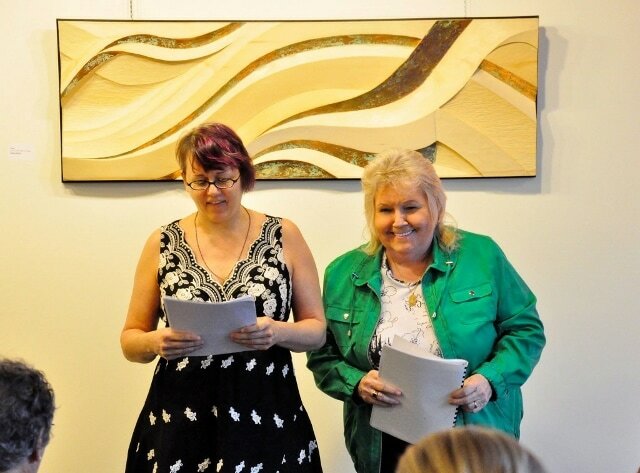 I was one of the featured Poets at Writers International Network event, in Richmond, June 14, 2014. 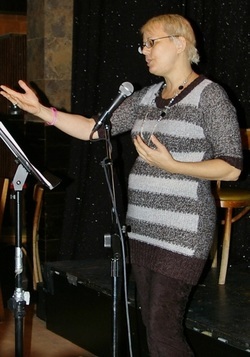 Below is a photo (by Janet Kvammen) of my Poetry performance at the event. Photographs by Janet Kvammen and Larry Falls. I had one of my Poems published﻿ Rain Filled Year in Red River Review! It was at www.redriverreview.com Poem # 71, from February - April 2014 and it's currently in their website Archives! Video from Poetic Justice, Dec 2013 feature click Feature Poetic Justice for whale poems. Click Eva Waldauf Feature for love poems! See my feature at Writers International Fest. March 27, 2013 click www.youtu.be/rii. Veiling Mist, mango poem and two love poems! Royal City Poets Anthology Launch Feburary 2, 2012 click www.youtu.be/Ac for celebration and love poems! Discover my feature Poetic Justice Dec 9, 2012, click www.youtu.be/dB Sun & Tides, love, abundance, Cherry Moon and dream poems! coffee and blueberry pancakes, amber honey and mangoes. Both the Royal City Poets Anthology 2012 www.silverbow.alibrisstore.com and Quills Canadian Poetry Magazine www.quillspoetry.com may still be available online, please go to the links. 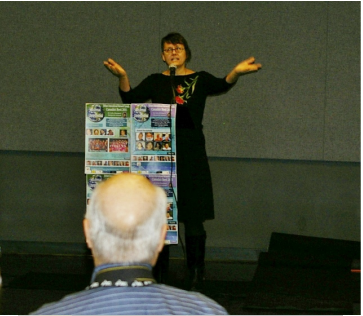 Photographs of me at top, taken by Larry Falls at "The Abundant Music & Word Festival" at The Prophouse Cafe. Photos of me by Janet Kvammen. Videos by Janet Kvammen and Ken Ader. To find out about my upcoming and recent Poetry events go to my Blog Dreams & Realities.